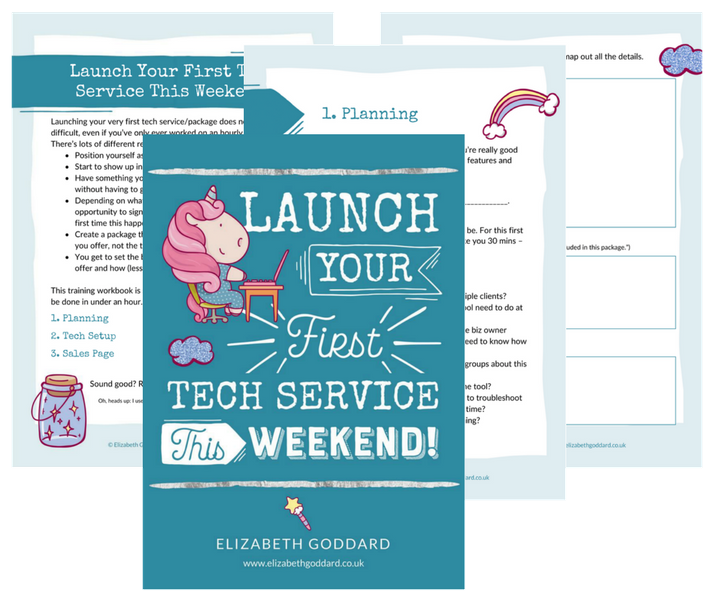 Launch Your First Tech Service This Weekend! Create a mini launch so you get paying clients straight away! Offering specific tech services is a fantastic way to serve more clients, make more money, work faster and cut down on admin time. The first time someone books whilst you're asleep is magical! You can use this Guide again and again whenever you want to try out a new service. I say Guide, it's more like a Workbook - there are sections you can fill in. (maybe even double, triple or quadruple! ).